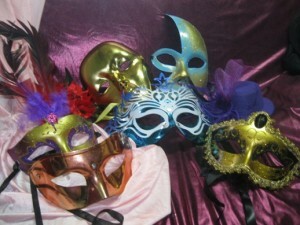 Apart from our lineup / collection of wonderful, unique and colorful set of masks readily available everyday for sale and rent made from synthetic plastic, we make specialty products for your midnight masquerade mask party. That is why our customers are so eager at referring us and our services to their friends and family members whenever they need such service. It’s absolutely satisfaction guaranteed and a win win situation for both parties, you as our customer and Team Creartume as your custom mask makers in the Philippines. This entry was posted in Occasions and tagged contoured mask, custom made mask, feathered motif, full face cloak, half face cloak, italian mask, mardi grass event, mask party, masquerade party, masquerade philippines, midnight masquerade, paper pulp mask, rubber latex mask, scented mask, venetian mask. Bookmark the permalink.